Bubble type foam cleanser melts down wastes and skin trouble inducing substances with micro bubble particles sounds promising to help achieving clearer skin, free from acne. Like everyone else, I suffer from skin problems as well, especially acne during my period or when stressed out. Bubble Cleansing is widely known for relaxing skin and prevent any skin problems, as it is gentle and friendly to skin. Especially if you suffer from acne or have sensitive skin, this is a great way to keep your skin as smooth as baby's skin! 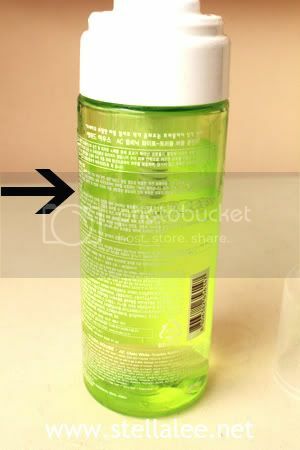 :D This post will reveal you my most favorite current facial cleanser at the moment! Application is pretty easy and fun as it is in bubble shape. The bubble cleanser helps to relax skin, as the acne-skin is really sensitive and stressed out, therefore you shouldn't use rich texture or else it will be getting worse. You can add water on the bubble foam, or just use it as its own. It has no strong scent and skin feels refreshed after using, but not tight! Remember, if you wash your face and it becomes tight, it means that your skin has been stripped and causing surface dead skin cell build up, resulting dry skin and wrinkle! But I feel really relaxed and skin becomes smooth with this cleanser so absolutely fine to use. kalau biang keringat ilanginnya gimana? aku susah beli klo pke onlineshop,klo pake barang' yg dijual di toko'' itu ada gak? terus komedo ilanginnya harus sering'' facial? aku pake ponds yang blackhead gk ilang padahal udh 1 bulan make .__. emang kenapa kalo beli di online shop? OH wow that looks so promising! ini kena bekas jerawat yang udh pecah gak sakit ci? I used to use Egyptian Magic Cream for acne and it works fantastic! Sounds like a magic cream to me. Maybe you have to change your products once every three months. I immune to mouth medicine very fast, as for skin, this is the very first time I heard about it. Bubble cleanser is very gentle to skin (the one you are reviewing now), but my skin hate bubble cleanser, if I used it, I have to expect a lot of acne, driving me nuts all the time. I love to read reviews of the product, because I think sometimes it helps to help me make decision to purchase or not to. Ci , sabun cuci mukanya di pake pas lagi jerawatan aja ato bisa di pake setiap hari ? Kalau sabunnya di pake pas jerawatan aja , kita pake sabun yang lainnya gak apa" ? cuman aku biasa pake ini kalo lagi jerawatan aja :D soalnya jerawatku karena hormon bulanan T_T pake ini mereda..
Pake sehari 3x gpp kan ? Oooo , tapi aku kalo 2x aja kulitku jadi berminyak , soalnya kulitku kan berminyak ci :( .. Terus kan aku pulang sekolah jadi kotor .. Jadi gimana tuh ? Oiya , sabun itu bisa ganti sel mati bekas jerawat juga ya ? Aku pake productnya sekalian sama obat jerawat ac clinic pink powder spot juga ..
Itu bagus ga ya ? 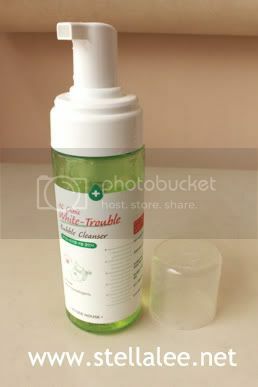 Ooo , kalau sabun cleansernya ini bagus ya ? Ponds Clear Balance Solution Giveaway Winners!